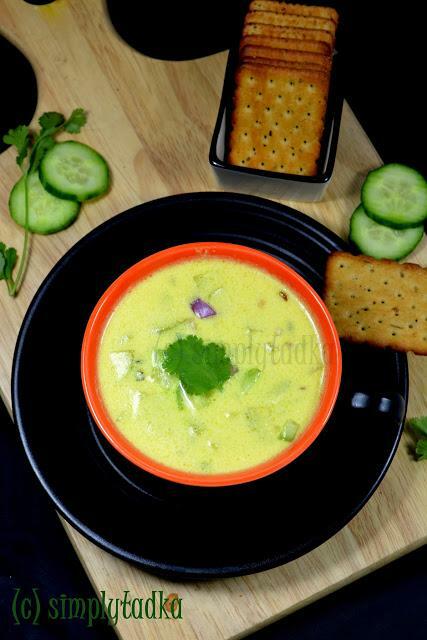 Dahi Soup or Dahi shorba is Punjabi recipe which made by quick tadka of cucumber and onion in curd. It is good for good for digestion and keeps warm in winter season. 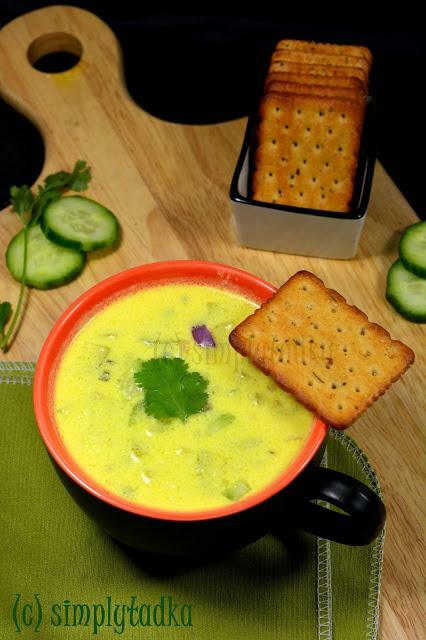 This soup is little creamy whitish texture made by mixture of fresh curd, gram flour or besan with seasoning. Instructions Whisk the curd, turmeric powder, salt, sugar and gram flour till to smooth consistency. Heat the oil in non-stick pan, add cumin seeds. When they starts splutter, add ginger, chilies and onion. Saute till to translucent on medium flame. Now add curd mixture, cucumber, coriander and boil 3-5 minutes. Serve hot with garlic bread or crackers. 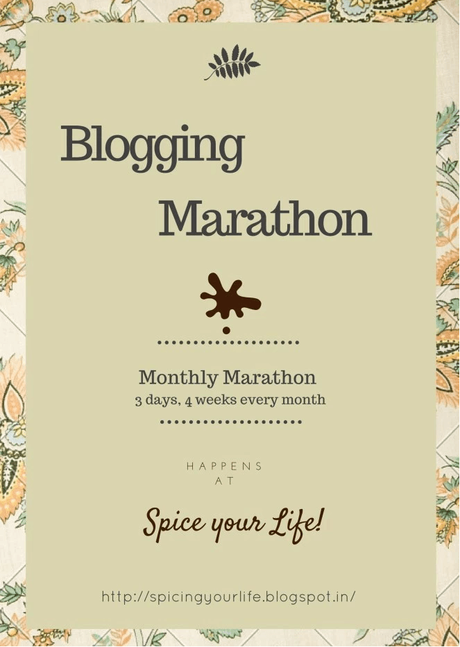 Tags: dahi soup, dahi shorba, curd shorba, curd soup, simplytadka, tadka recipe, instant soup, healthy recipes, winter recipes, soup recipe, shorba recipe, curd, cucumber, blogging marathon, food blogging, side dish, quick and simple recipe, Punjabi recipe.